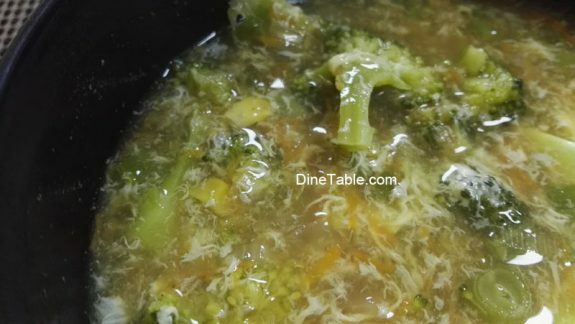 With the above note presenting a super easy and healthy “Vegetable Manchow Soup” to you all. Vegetable Manchow soup is a popular Indo-Chinese cuisine due to its ease of preparation and hot spicy taste. 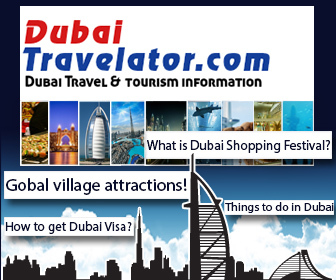 It is available in large restaurants and street food carts in most of the states of north India. 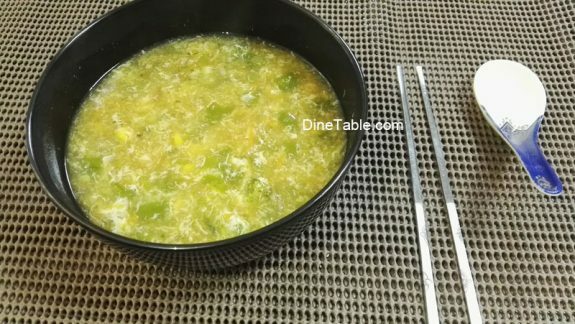 Although the soup is named after Manchuria it does not resemble any that is normally found in the cuisines of the region. 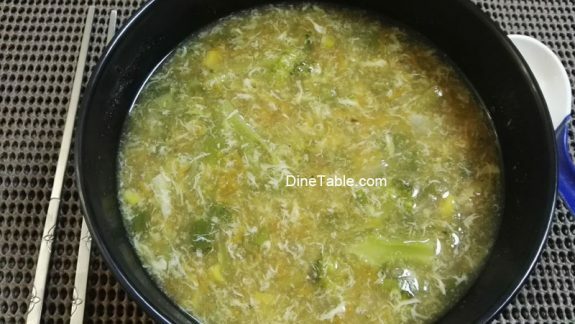 The origin of Manchow soup is from Meghalaya, India. Surprised!!! It was a surprise for me. 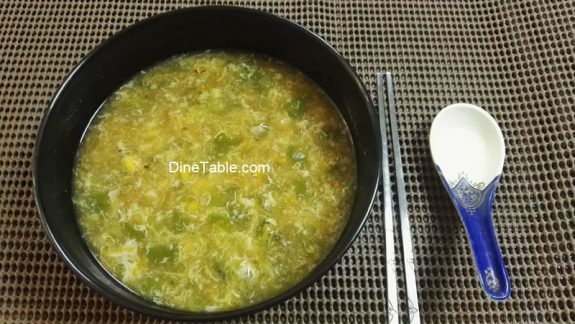 Talking about health benefits of manchow soup, its loaded with proteins, vitamins, minerals, calcium etc because we are using lot of vegetables and egg in this recipe. If you want to add any more vegetables of your choice or commonly available in your area please be creative and add those. Those who are allergic to eggs can avoid eggs, still the soup tastes delicious. Eggs is not a mandatory ingredient here. In a pan, stir fry the ginger, garlic, coriander leaves, shallots and crushed green Pepper in 1/4 tbsp oil for about 2 minutes. Add all the vegetables and continue to stir-fry for 2 more minutes. Add required amount of water to the vegetable mixture and mix well. For thickening the soup ,add corn flour dissolved in little water. Add egg slowly while continuously stirring (optional). Add a spoon of vinegar for a sour taste (optional). But adding egg and vinegar adds taste. to your Manchow soup. Add the soy sauce, vegetable stock and salt. Be very careful while adding salt as soy sauce & vegetable stock already have salt. Garnish with Spring onion (Scallion) and serve hot..